I have just started researching for a PhD in Modern History at the University of Birmingham, under the supervision of Professor Carl Chinn and with financial support from the Arts and Humanities Research Council. There is still only a working title for my thesis, but the proposal is a case study of Birmingham and its administration between 1838-1852. This time frame falls within a period of immense change in British politics and society as the impact of industrialisation and urban growth became starkly visible. 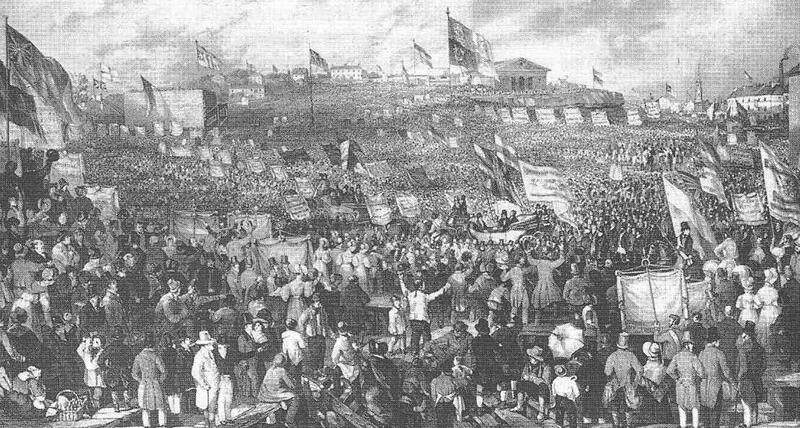 This was an age of sweeping political reform and immense social upheaval. Life appears to have been running at an ever increasing pace. Birmingham was one of a small number of towns at the forefront of this dynamic change, bursting at the seams with a population that was technologically innovative, culturally motivated and politically radical. The period under consideration for this research was chosen as one which really represents the frontier between old and new styles of approach to local administration. This is an area which I hope to explore in more detail in my thesis. I am particularly interested in the interface between the ‘public’ and local authorities. I want to understand the extent to which public demand influenced reform at a local level and how local demands might have impacted on changes to national policy as well as consideration of how these new approaches to social management impacted on real lives. Another ambition for the thesis is to move away from the traditional ‘grand narrative’ approach of class conflict, so often applied to nineteenth-century Birmingham, considering instead the rather more ordinary interactions of daily life. I have discovered that the minute books of both the Town Council and the Street Commissioners reveal an incredibly vivid insight into how Birmingham developed materially during the first half of the nineteenth century. Not through any poetic description or fanciful musings, but through planning applications, petitions of complaint and bye-laws. Such a vibrant and real image of the town emerged from these ‘mundane’ interactions that I thought it would be useful to share them. Hence this blog on an occasional history of the mundane. Birmingham’s early Victorian history has too often been overshadowed by the towering presence of the later administration of Joseph Chamberlain. It has been written off as a time of civic stagnation. I want to contest this perspective by bringing to the fore the dynamic and often bold actions taken by Birmingham’s early civic leadership. The majority of evidence sourced for this blog can be found archived at the Library of Birmingham, which offers a HUGE quantity of archival material for anyone interested in the history of Birmingham – and it’s not at all mundane!